Welcome to the Carnival of Space, Episode 424. Each week the Carnival brings you the latest and greatest space science articles to be found on this side of a Venusian sunset. Kick back, pull up a frothy beverage of your choice and enjoy this week’s reading selections. First up this week is an article from the Chandra X-Ray Telecope Blog about what interns working on Chandra experience. Coloring The Universe shares with us some insights into the creation of those amazing photo books of space goodness we just love to stare at. Next up, Kim Arcand & Megan Watzke take light and optics to the steps of Capitol Hill, explaining the importance of light (and sometimes the lack of it) in our lives. Talking about the imporatnce of light, optics & photonics in DC. Universe Today provided the Carnival with a trio of excellent news articles. From their collection comes news that the Orion capsule may slip a couple years to 2023. They also take a look at Pluto as more data comes back from the New Horizons probe. Every new bit of data gives us a better understanding of this far distant dwarf planet. UT finishes out their trio with a great article about the scale model of the solar system that has the entire planet abuzz with the awesomeness of a well executed plan. The fine folks at Planetaria bring a couple of great articles to the show as well. First up is their take on the Pluto mission including a look at the mountains of data coming back slowly. The follow that up with a look at a moon a little closer (but not too close) to home. it seems there just might be water everywhere we look. Next Big Future brings us back down to Earth with a pair of articles on technology. First up, we have some data about DARPA wanting to push forward with robotic orbital operations. 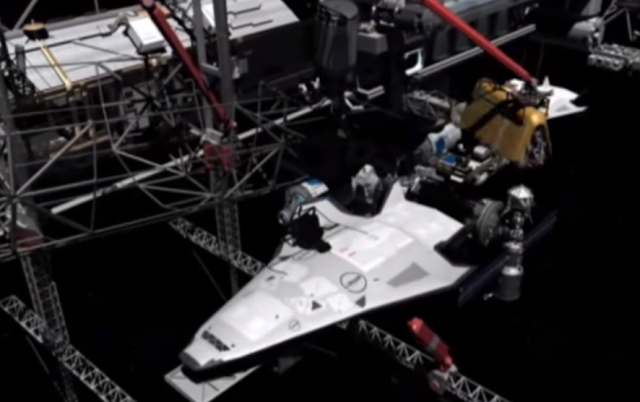 DARPA working on orbital robotic construction, repair and refueling capability. This will mesh will with the NASA spiderfab effort. China’s Long March 6 (CZ-6) carrier rocket was set to be launched in Taiyuan, in North China’s Shanxi Province on Saturday, sending 20 small satellites into space. It appears the launch may have been postponed. And there you have the Carnival of Space for this week. Lots of good reading, great imagery and food for thought. Join us each week as a different website hosts the Carnival. Catch the next episode over at at Universe Today. And if you missed last week’s episode, you can read it at Next Big Future. Until next time – Dream!